Mareep is an Electric type Pokémon introduced in Generation 2. It is known as the Wool Pokémon . The effectiveness of each type on Mareep. In Generations 2-4, Mareep has a base experience yield of 59. MAREEP’s fluffy coat of wool rubs together and builds a static charge. The more static electricity is charged, the more brightly the lightbulb at the tip of its tail grows. 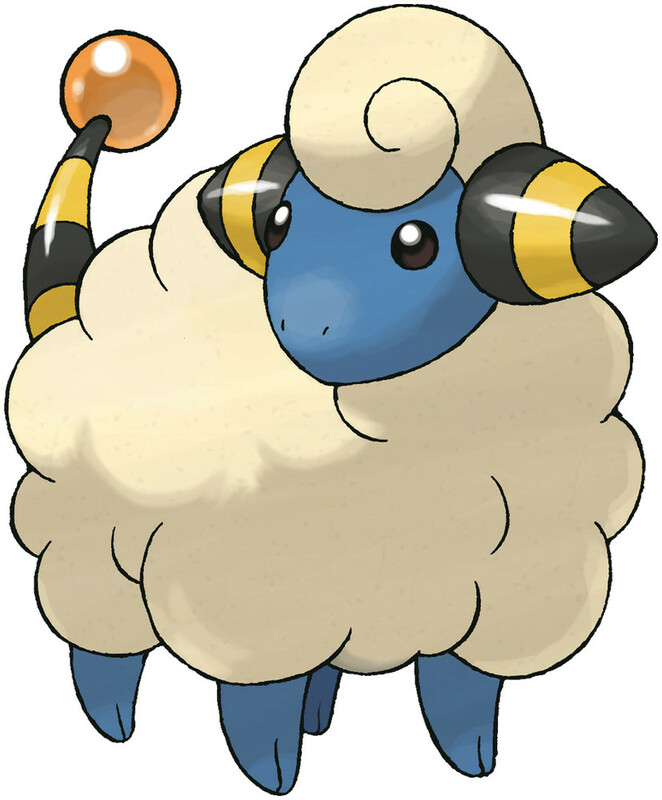 Mareep’s fluffy coat of wool rubs together and builds a static charge. The more static electricity is charged, the more brightly the lightbulb at the tip of its tail glows. Clothing made from Mareep’s fleece is easily charged with static electricity, so a special process is used on it. Rubbing its fleece generates electricity. You’ll want to pet it because it’s cute, but if you use your bare hand, you’ll get a painful shock. Mareep learns the following moves in Pokémon Ultra Sun & Ultra Moon at the levels specified. Mareep learns the following moves via breeding in Pokémon Ultra Sun & Ultra Moon. Details and compatible parents can be found on the Mareep egg moves page. Mareep can only learn these moves in previous generations. It must be taught the moves in the appropriate game and then transferred to Pokémon Ultra Sun & Ultra Moon. Mareep learns the following moves in Pokémon Sun & Moon at the levels specified. Mareep learns the following moves via breeding in Pokémon Sun & Moon. Details and compatible parents can be found on the Mareep egg moves page. Mareep can only learn these moves in previous generations. It must be taught the moves in the appropriate game and then transferred to Pokémon Sun & Moon. Is there an event mareep?